Earlier today, we recoiled in horror as someone on Broadway decided to run with our half-baked suggestion that Cocktail should be the next film to be turned into a musical. 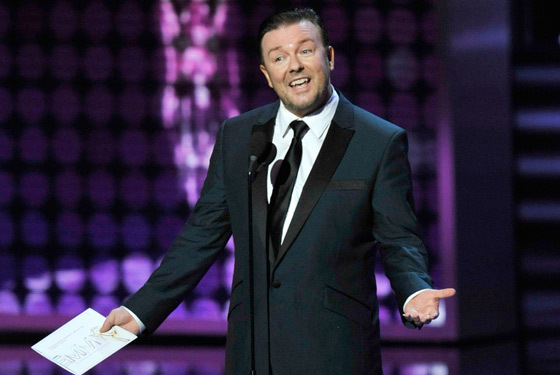 Well, we’re happy to report that we’re both feeling a little bit better about ourselves now, for we just found out that Ricky Gervais will be hosting the 2010 Golden Globes ceremony! As eagle-eyed Vulture readers will no doubt recall, this is an idea that we’ve been actively campaigning for since September 2008. Can’t hardly wait!